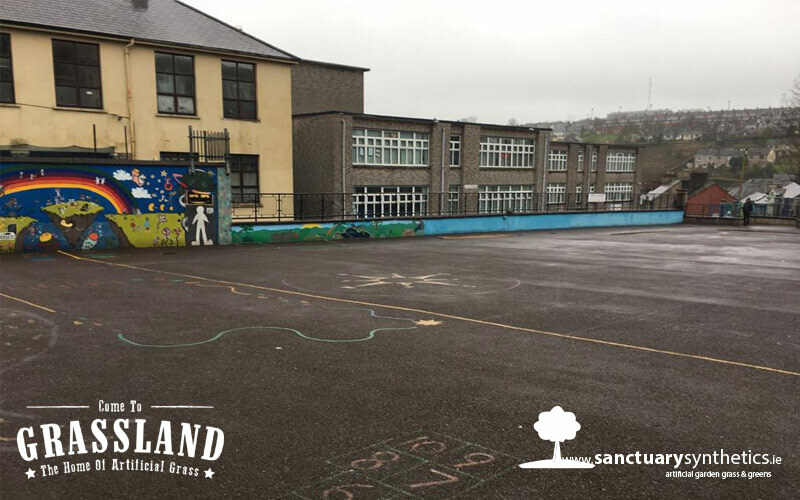 In early 2017, we spoke with a School in Cork about getting their incredible School a much-needed yard makeover. 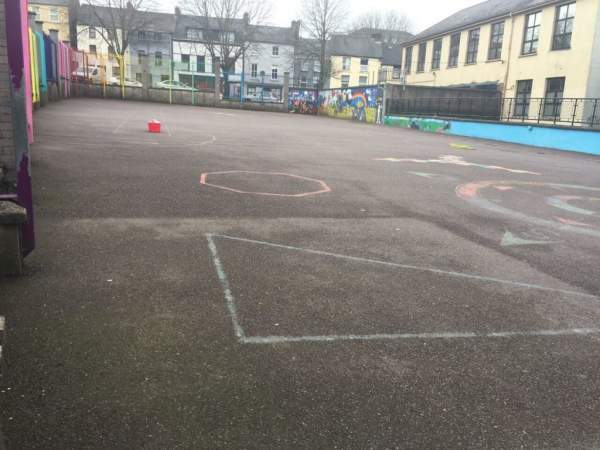 The first step of protocol was visiting the School in Cork and measuring the area and discussing the needs and dreams of the overall finished yard makeover. Once the visit was over we did an official quote for the costings of the Cork Schools “dream” yard. 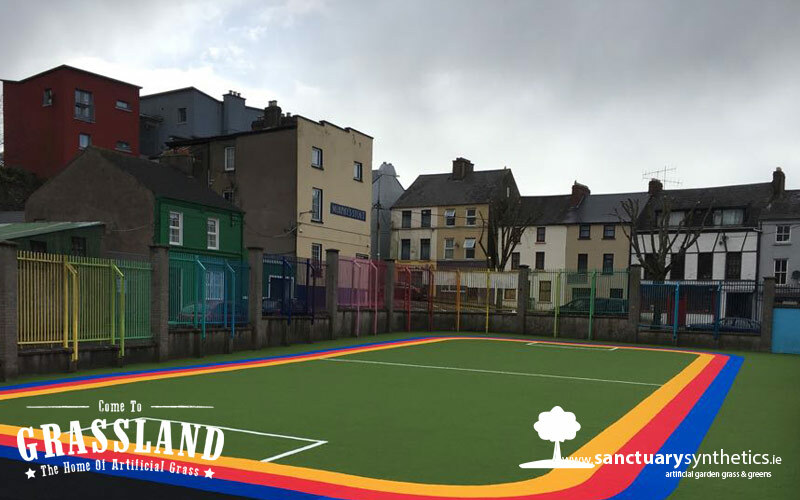 Due to budgetary constraints just like most of all primary schools in Ireland, the only way of getting this dream yard was by fundraising. North Presentation Primary School started their fundraising campaign in 2017, the principle of the School set it upon herself to make the dream yard a reality for her students. She started by setting up a fundraising Facebook page and a go fund me account. She approached local business to sponsor events and donate prices. She organised multiple events to fund raise money to get her one step closer to achieving the dream yard. The principle was very active on the schools fundraising Facebook page constantly providing updates on the progress of the fundraising, informing parents on upcoming events and constantly sharing information to help the school achieve its dream goal. In March 2018 she updated the Facebook page stating “yard of our dreams will soon be a reality. In early 2018 North presentation were ready to start moving forward with the plans for their rainbow yard, and we started work on the school yard of dreams in Mid-March 2018. The brief was clear from the start, they wanted a bright rainbow themed yard to match their rainbow themed railings and wall murals. 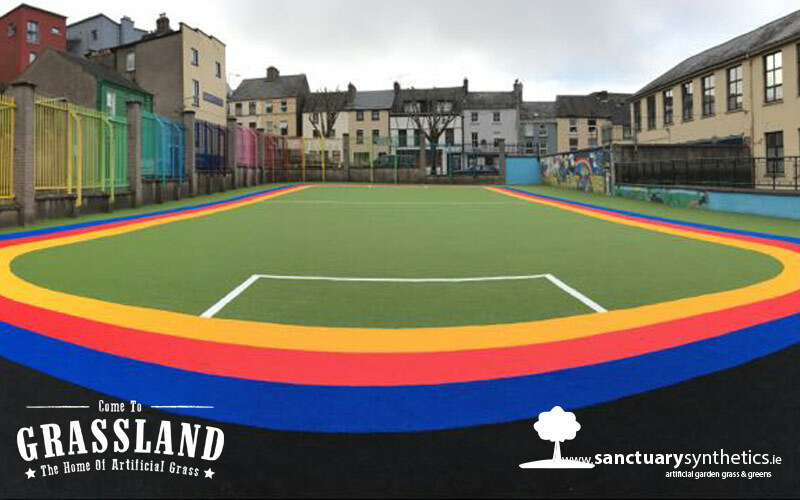 We installed our SCHOOLS artificial grass in green, red, blue, yellow, black and white to achieve a bright rainbow inspired yard. We first installed a layer of shock pad directly on to the concrete. 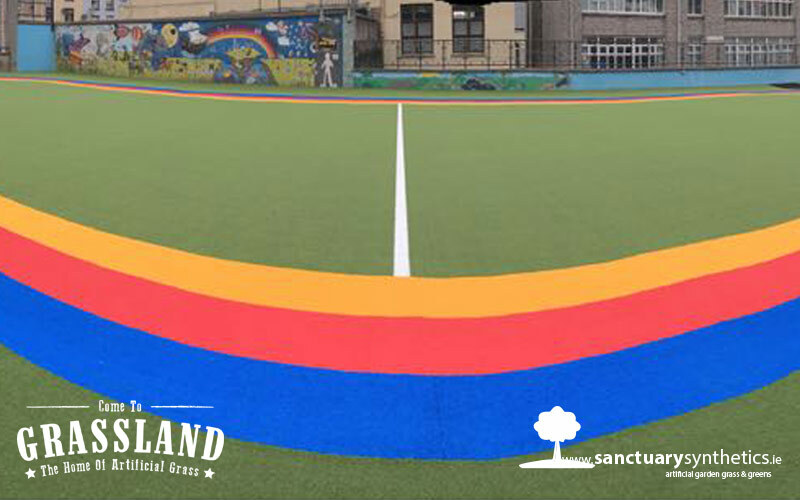 Shock pad has a critical fall height of 1.3m, this assures that the playground surface is as safe as possible, and it also gives a softer finish underfoot. Our green SCHOOLS grass was the main colour used in this yard and we them used our SCHOOLS colours to act as the rainbow effect for the yard. We placed white football markings in the space making the yard super versatile for not only school breaks but for PE, sports days, afterschool activities and general sports. The results of this school yard are incredible. The proof really is in the pudding. 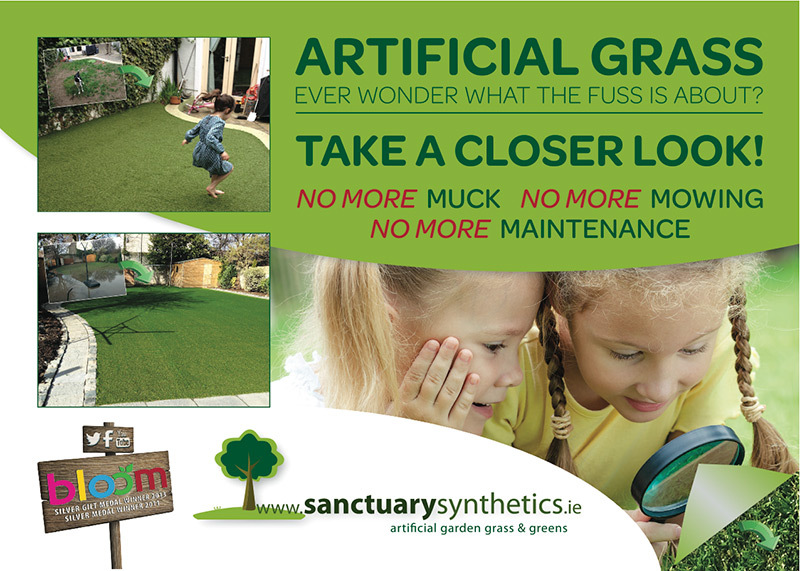 The artificial grass has really made a huge difference not only to the appearance of the yard but to the safety by having a shock pad layer installed underneath the artificial grass. 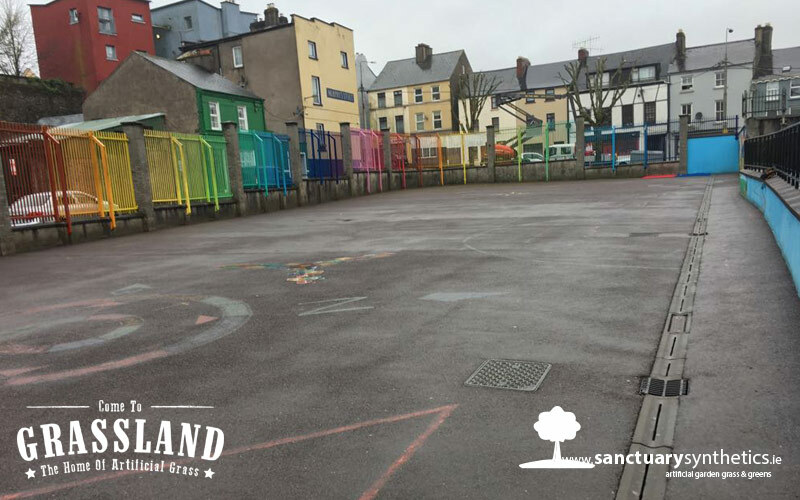 The yard is really a school yard of dreams and we are delighted with the finished product. We are overjoyed that the school are blown away with the transformation. The yard is now ready to be enjoyed by all students when the arrive back from Easter break. It really is the yard at the end of the rainbow.